LOFT Paradise Halter Maxi Dress– This dress most definitely runs big! I don’t normally wear petites, but I ended up in a Petite Small in this dress & it’s the perfect length (I’m 5’4 for reference). I also wanted to show it to you both belted and unbelted because I think it looks adorable both ways! Y’all, the colors are also gorgeous in real life- so deep and rich! LOFT Striped Shorts Romper (Not online yet, but will be soon! Shop other LOFT rompers here)- Oh me? 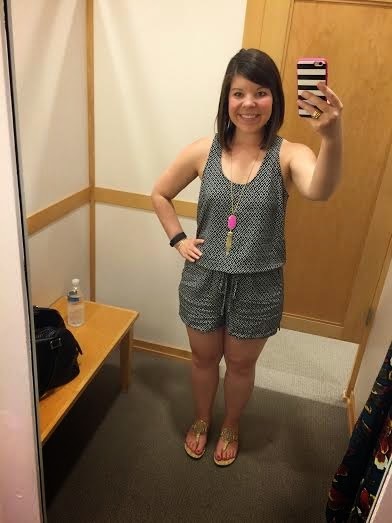 Falling in love with a romper? Big surprise! (Please note sarcasm 😉 ) Unfortunately my LOFT didn’t have this romper in regular sizes yet, so I tried it on in a Petite Medium. Although it fit pretty well I felt like it was a little too tight across the hips to be comfortable, so I’m looking forward to grabbing it in regular sizes when it hits the website! It’s a little dressier than most of my rompers, and I think it would be perfect for a girl’s night out – just add wedges and you are ready to rock! LOFT Lightwash Denim Jacket– I’ve been wanting a lighter wash denim jacket for awhile, and although I love the color of this one, it’s a little too big on me (I’m wearing a Medium) and they didn’t have any other sizes in the store. I plan on trying it on in a small to see if it fits a little slimmer in the shoulders. 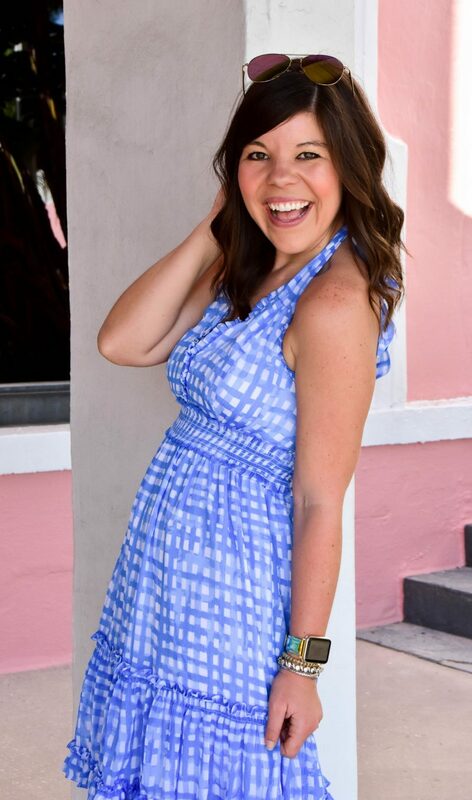 Next Post Cinco de Mayo & Lilly Pulitzer for Target! 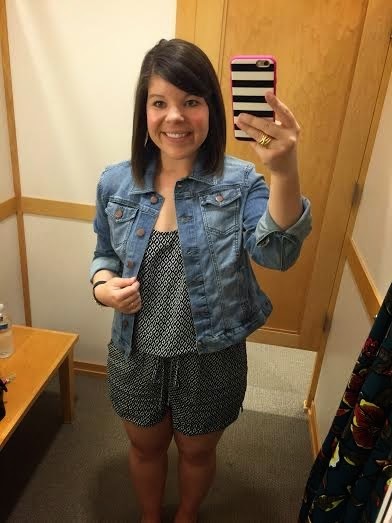 I am all about the rompers this season, and those are totally adorable. The print on that dress is also gorgeous. 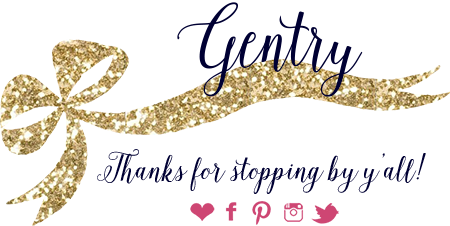 Can't wait to see how you style your finds! There are SO many goodies at the LOFT! I am loving that romper! I really like this post! I would love to see more! I like the dressing room diaries… keep 'em coming!! 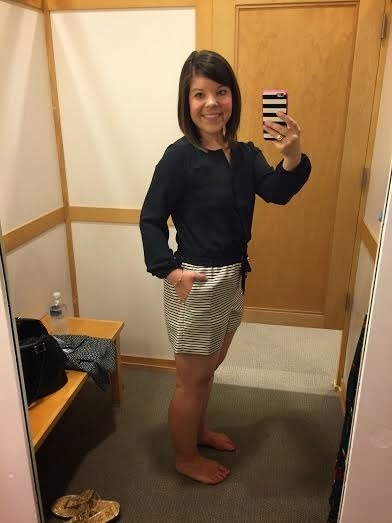 I love reading "dressing room diaries"–they're so fun and helpful too. 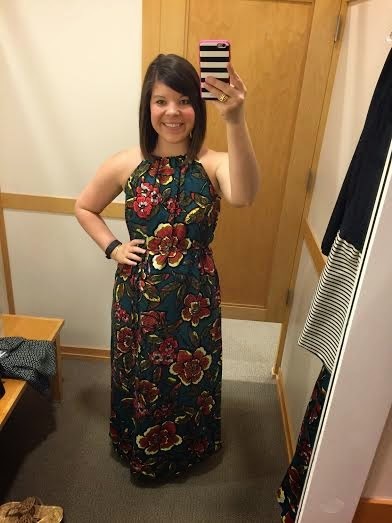 Love these finds–that maxi dress is so pretty, and I also like the ON romper. I've never tried a romper before, but that one is so cute!! Fabulous!! Thank you so much for stopping by! I will work on another round of fitting room finds coming soon! Gosh, we would have so much fun shopping together! 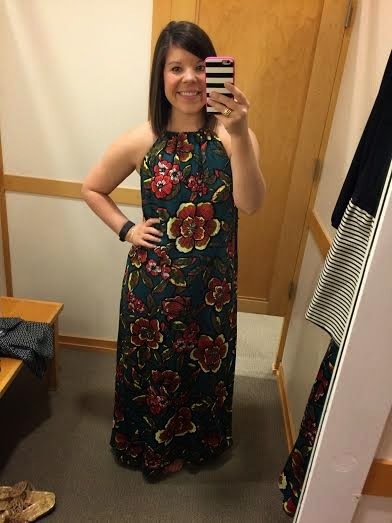 You’ve covered some of my favorites – I just got that maxi – I’m hoping to wear it this weekend, I was shocked at how big it ran! 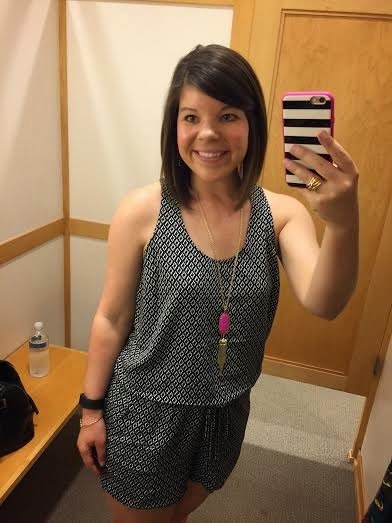 I have the loft romper in all black and recently ordered that old navy romper in a couple colors.. just waiting for it to come so I’m glad to hear you love yours! Love wearing the Kendra necklaces with everything of course – your pink one looks great with the romper! 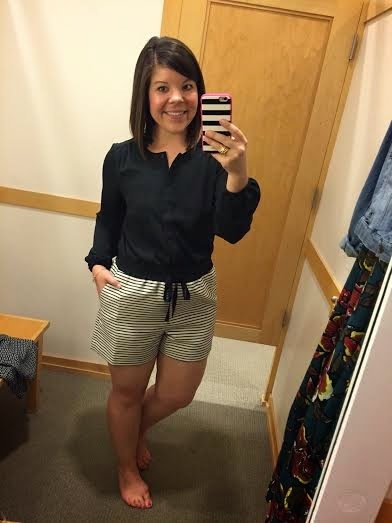 Love the dressing room diaries idea!